Nanjing President Kuang Yaming 匡亚明 greeting a 1979 delegation from UW-Madison. 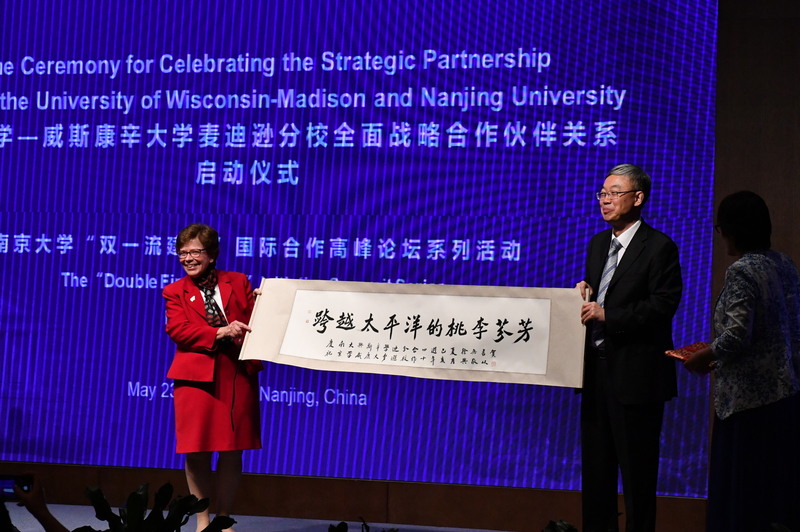 Connect with China and the UW through community interaction and engagement. 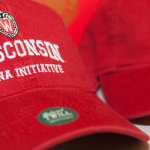 Learn more about the rich history of UW and China. Stay up to date on everything UW and China. 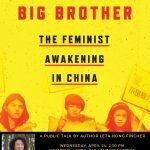 Wednesday, April 17, 3:30 p.m., Red Gym (716 Langdon Street). 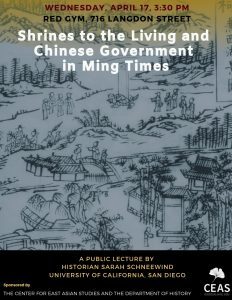 Public lecture by Sarah Schneewind, UC-San Diego, “Shrines to the Living and Chinese Government in Ming Times.” Living shrines provided an institutional form of political participation for commoners. The ideology of the Mandate of the Heaven for the dynasty is well-known; living shrines enable us to see that magistrates and prefects in Ming times enjoyed a “Minor Mandate” that expressed their moral semi-autonomy from the emperor who delegated them. Monday April 15 and Wednesday April 17, noon, Lubar Commons, University of Wisconsin Law School. 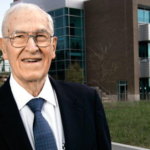 Two noon talks featuring Law Professor Emeritus David M. Trubek. Monday’s lecture, “Re-gearing the Corporate Legal Ecosystem in a Re-geared World,” will include comments from lawyer and UW graduate student Sarah Marinho, and EALSC Director John Ohnesorge. Wednesday’s talk, “China’s Rise and the End of Embedded Neo-Liberalism,” will feature a roundtable with Law Professor Emeritus Charles Irish, and Political Science Professor Emeritus Edward Friedman. Feedback, questions or accessibility issues: ldennis@eastasia.wisc.edu.